Fill those Lunch Boxes With Healthy & Tasty @GoGosqueeZ This School Year! Looking to squeeze more fruits and vegetables into your child's diet? Or maybe you are just looking for some quick, healthy snacks on the go during this crazy time of year called the school year? 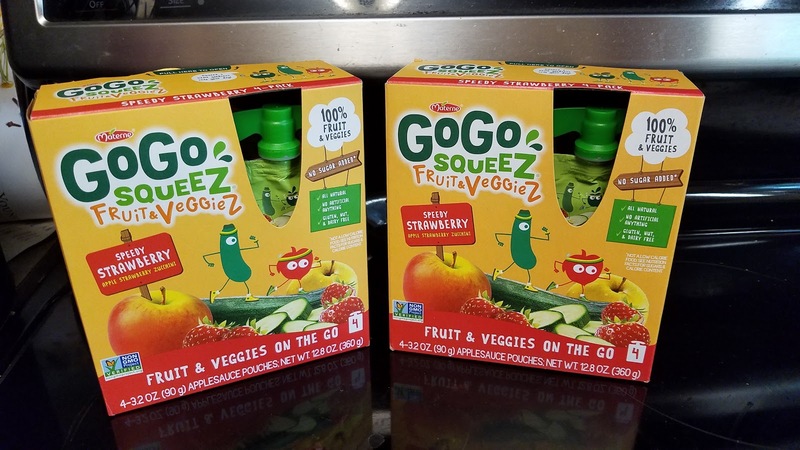 I know I am all the above so I am LOVIN' GoGo squeez products including their NEW GoGo squeeZ BlastZ and Fruit & VeggieZ Speedy Strawberry! They are so easy to eat on the go and they fit perfectly in your child's lunch box for snack or lunch that is healthy and tasty! A new line of fruit on-the-go (in a bigger pouch) with bold tastes made specifically with tweens in mind. Made from 100% fruit blend, these varieties will make on-the-go snacking even more enjoyable! Price: $2.99 to $3.29 Available at select retailers starting July 2018 including Walmart, Target, Meijer, and Harris Teeter. Speedy Strawberry is the newest Fruit & VeggieZ flavor. With a simple and delicious blend of apple, strawberry and zucchini, it makes it even easier to integrate more fruit and veggieZ into kids’ daily routine. 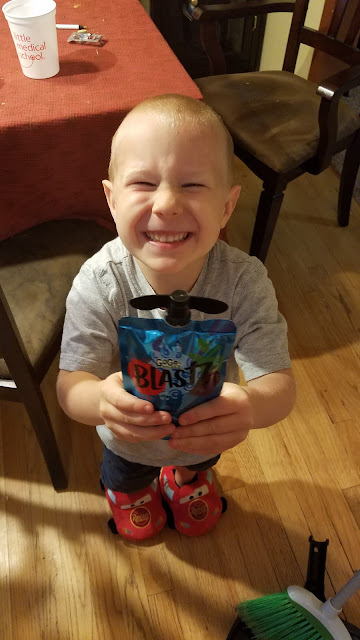 I absolutely love that these pouches sneak in some extra vegetables - especially great for families with picky eaters! They taste great but include lots of fruit and veggies! Price: $2.99 Available nationally at Walmart, Target, Costco, Whole Foods, Kroger, Publix, Harris Teeter and most major retailers.